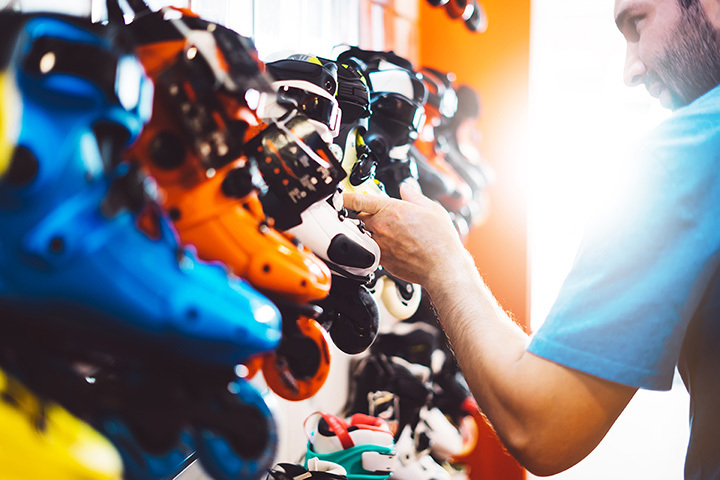 The 10 Best Sporting Goods Stores in West Virginia! West Virginia offers some of the best opportunities for outdoor sports activities in the Appalachian region. If you want to try your hand at mountain biking, kayaking, skiing, fishing, or hunting, you’ll find everything you need below. And if you’re a seasoned sportster, you’ll find the upgrades, accessories, and services needed to keep you and your equipment in tip top shape. Check out the 10 best sporting goods stores in the state. Are you looking for the best running shoes? Then visit Robert’s Running & Walking Shop in Charleston, West Virginia. Using specialized methods that measure your foot shape, the knowledgeable staff will help you select the perfect pair of shoes from a wide variety of brands. The recipient of Competitor Magazine’s “50 Best Runny Stores in the U.S.,” they also handle a full line of other running items like clothing, electronics, nutrition, and other accessories. A second location is in Huntington. Opened in 2009, Morgantown Running knows how to help you find the fit and type of sporting shoes or apparel you need. In addition to providing a great line of athletic gear and accessories, this little shop is a one-stop shop, offering gait analysis and other helpful clinics so you can find the best shoe for your style of activity. They also sponsor a running club for students up to eighth grade. If you want to be ready to hit the slopes this winter, check out Skiers Edge Sports Shop in Parkersburg, West Virginia. While it might be a little surprising to find a ski shop in this part of the state, it’s a great shop for all things related to cold weather sports. They also have bikes and other supplies and accessories and are equipped to help people of all ages. Whether you’re preparing to hit the mountain bike trails or just looking for something to ride around the neighbor, you’ll have plenty of choices at Wheelcraft Limited in Wheeling, West Virginia. They have a large selection of new and used bikes and provide repair services for almost any make or model. They also sponsor special events like the Wheeling Heritage Trail Bicycle Tour. If you don’t own a bike, you can rent one for the day or longer. This is a destination worth the drive. Blackwater Bikes in Davis, West Virginia, is the place to find expert service and assistance with all your bicycle needs. Located in the heart of mountain bike country, and with over 30 years of experience from people who are passionate about biking, the team at Blackwater Bikes can help you purchase the right bike and equipment for your next adventure. If your bike needs serviced, they do that, too, and they offer shuttle service to many nearby trailheads. Safety and comfort are the primary concerns for bike riders and the helpful folks at Marathon Bicycle Company in Fayetteville, West Virginia, are ready to help. The best type of bike is one that fits your body and style of riding. Whether you’re new to biking or a seasoned rider, you’ll find a full line of top-quality bikes and accessories to fit your budget as well as maintenance services that will keep you in tip top condition. Open every day except Sunday. H&S Sporting Goods in Princeton, West Virginia, has been a one-stop shop for fishing and hunting supplies for the last 35 years. The friendly staff is very knowledgeable about the products and services they provide, and prices are reasonable. If you’re looking to invest in a boat for your fishing adventures, they have boats for every occasion: bass boats, pontoon boats, jon boats, and other lake and river watercraft. Helpful and friendly are the words used to describe the staff at Park Center Sporting Goods in Rainelle, West Virginia. The experience and prices at Park Center bring people far and wide for the great deals they offer, and they have a limited money back guarantee if you’re not satisfied with your purchase. If they don’t stock what you want, they’ll find it for you. Dodds Sporting Goods in Ellenboro, West Virginia, have the best selection and prices on guns, ammo, and hunting supplies in the area. Great staff who will work hard to help you find what you want, and if it’s not in stock, they offer limited shipping in the continental U.S. Open every day except Sunday. Helping kids and adults alike, the people at Elevation Sports in Beckley, West Virginia eat, sleep, and breathe sports. From winter sports to kayaking to mountain bikes, they have it all! And if you’re into remote control vehicles or drones, they have those, too. If you find something you love, they’ll ship it to you free!